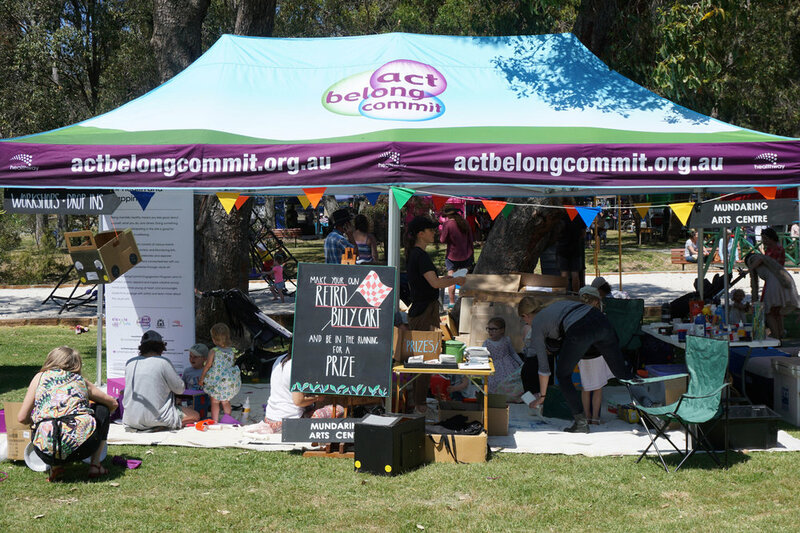 We had a blast on Sunday at the Act-Belong-Commit Hills Billy Cart Festival creating billy carts out of cardboard and recycled materials. Thanks to everyone who visited the Mundaring Arts Centre tent and joined in had a go! MUNDARING & BOYA LIBRARIES, MUNDARING CAMERA CLUB, MUNDARING SHARING, RIDING FOR THE DISABLED, MOUNT HELENA RESIDENTS & RATEPAPYERS, HAND TOOL PRESERVATION SOCIETY, MACHINERY PRESERVATION SOCIETY, STUDIO PAYOKA, EASTERN HILLS SAWS & MOWERS, REPCO, ARBORTECH.